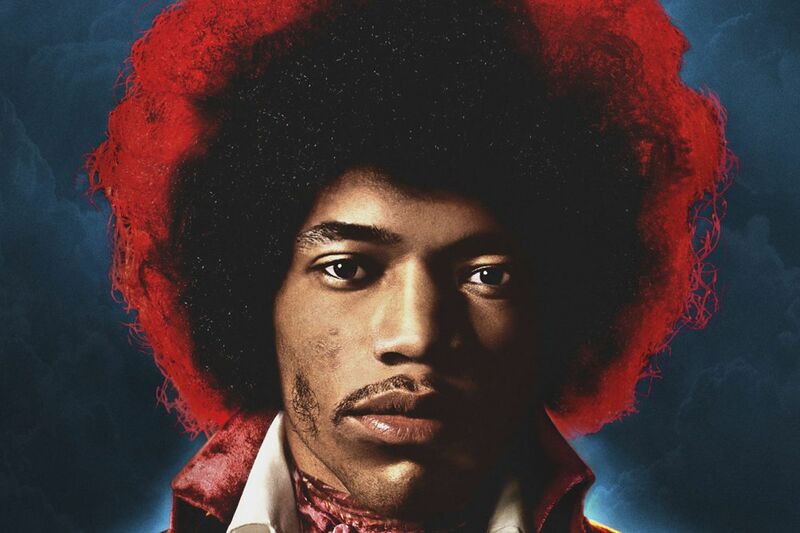 This cover image released by Experience Hendrix/Legacy Recordings shows "Both Sides of the Sky," by Jimi Hendrix. Jimi Hendrix has only been dead for 47 years, so naturally he's just released a new album of (mostly) unreleased material. Or rather, the custodians of the late rock god's estate continue to dig through the closets full of tapes he left behind in Electric Ladyland Studios. From Both Sides of the Sky is by no means an essential addition to the catalog of the inimitable guitarist and underrated singer and songwriter. But it is a worth-hearing document that's of interest to both obsessive and casual fans, in part because of its patchwork odds-and-sods approach. It's rewarding to hear Hendrix cut loose on the blues, with Muddy Waters' "Mannish Boy" and Guitar Slim's "Things I Used to Do." He also plays a little sitar on "Cherokee Mist," and settles in as axman only as he hands lead vocal duty off to Stephen Stills on "$20 Fine" and Joni Mitchell's "Woodstock" and to sax man Lonnie Youngblood on "Georgia Blues." — D.D. Like Jimi, Haley Heynderickx is a gifted guitar player hailing from the Pacific Northwest. And in fact, the Portland, Ore.-based six-string stylist has told interviewers that her first musical inspiration was the peerless player whose last name is a homophone for hers. However, Heynderickx plays in a finger-picking style that owes more to such acoustic wizards as John Fahey and Leo Kottke. She's supported by a subtly inconspicuous band on her debut album, with the other musicians mostly staying out of the way of her precise playing and plaintive vocals. At times I Need to Start a Garden loses momentum with too much quivering shimmer after the manner of folkies of yore like Nick Drake and Vashti Bunyan. But Heynderickx is both playful and profound as she muses about a feminine deity on "Untitled God Song" and effectively uses the title as a metaphor for putting one's life in order and letting creativity flow on both "Jo" and the rocking, Velvet Underground-ish "Oom Sha La La." — D.D. Chicago-born rapper, writer, actor, and activist Common has always been in tune with his (to borrow a phrase from Ken Nordine) word jazz, a stately flow and heightened, halting technique that gave his conscientious lyrics their dramatic heft. Sometimes that jibed with his melodies and production, sometimes he sounded stiff and dated because of his wordy jazz-hop éclat. In nu-jazz lion/pianist Robert Glasper and drummer/producer Karriem Riggins, however, Common met (or favorably found) his match, and a new trio, August Greene, is born.